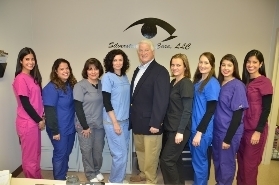 Silverstein Eye Care, LLC located in Clifton, NJ is dedicated to providing exceptional, personalized health care for our patients. Our practice specializes in diseases that affect our patients. We focus on the prevention of these illnesses through wellness care, as well as treating chronic disorders that may arise. By creating an ongoing personal relationship with our patients, our practice is able to provide you with a health oriented means of communication throughout your lifetime. To learn more about the services we provide, please call us today at 973-473-1515 to schedule an appointment or email us at silversteineyecare2020@gmail.com for additional questions. licensed optician, who can help make the right decision as to what type of frames and lenses to choose. As a sole proprietor, he gives his customer that personal touch that chain stores cannot.